This 28ft, 1984 Viscount caravan is in good condition, with a full length compliant aluminum annexe and merbau deck. The van has recently undergone an interior renovation. Full en suite at the rear of the annexe, new sofa beds and a double bed in bedroom of the caravan. 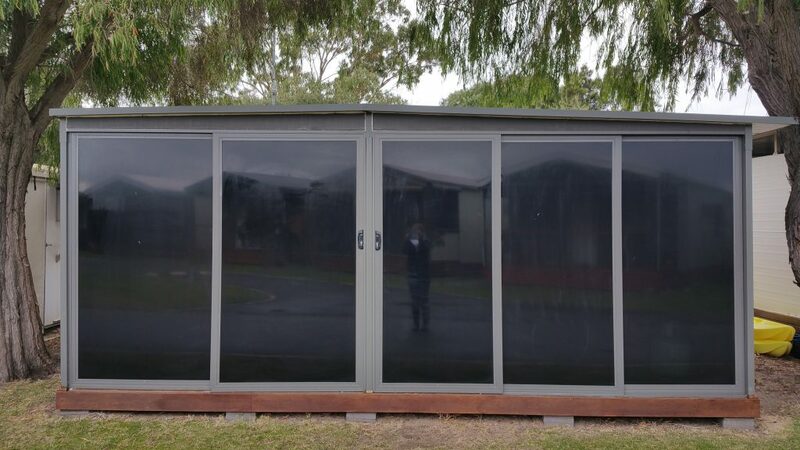 Custom made and professionally fitted with pvc sliding doors to the deck area to allow for all year round use. Included in the sale is 2 x tv, 2 x sofa beds, outdoor settings, linen, pots, pans, glasses, crockery, bbq and the list goes on. The van is located opposite the sort after oval area. Be quick, for it surely won’t last long.